A midair collision was narrowly avoided near the Belgian city of Ghent on New Year’s Day when two planes came close to colliding, according to local media reports. The incident on January 1 involved an Air France jetliner and an Egyptian cargo plane, Belgium’s VRT reports. An investigation into the near-miss over Belgium is currently ongoing, with authorities keen to determine how the two aircraft came to being just 300 feet apart at an altitude of nearly 22,000 feet. The probe into the close call was confirmed to the newspaper De Standaard by a spokesperson from Belgium’s Air Transport Office. “On 1 January, above the large region of Ghent [there] was an incident between two aircraft and we are investigating it,” Sven Heyndrickx said. Early suggestions pin the blame on the crew of the Egyptian crew, who are reported to have ignored air traffic control instructions. According to sources close to the investigation, the Egyptian plane ignored three warnings to stop its ascent and maintain altitude from Belgian air traffic controllers. The Air France Airbus A320 plane was starting its descent to Schipol Airport, Amsterdam, when the midair smash almost occurred. An Airbus A320 plane can typically seat between 150-180 passengers and are used for both long and short-haul journeys. RT.com has contacted the Belgian Air Accident Investigation Unit for more information on the matter. In 2013, a Delta Airlines Boeing 747 and a Shuttle America Embraer E170 came perilously close to a collision near New York’s John F Kennedy Airport. The planes came within 200 feet of one another, after the pilot of the Boeing 747 aborted a landing and attempted a ‘go around’ maneuver. Nowadays near misses with drones are a more regular risk for passenger planes. 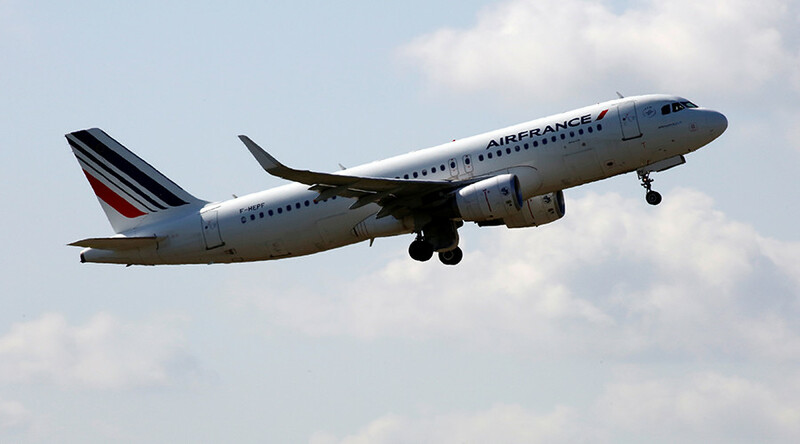 Last year, France’s civil aviation authority reported a “serious incident” in which an Air France flight was put in danger by a buzzing drone. The F-GKXT passenger aircraft landing at Charles De Gaulle Airport, Paris, was nearly clipped by the drone flying five meters below its left wing. Another potentially disastrous event reported last year by the UK Airprox Board, which logs aircraft incidents, detailed how an Airbus A320 flying over London came into close contact with a “football-sized” drone. More recently, a drone operator caused substantial damage to a Boeing 737-700 as it made an approach into Tete Airport, Mozambique. The aircraft belonging to the Linhas Aéreas de Moçambique carrier received a number of cracks to the right hand side of the fuselage. No one was injured by the collision.